Welcome back RVP, God we have missed you. 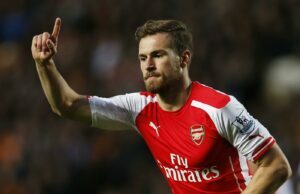 Robin showed on his return vs Spurs what a player he is and how much we have missed him. Great to have you back. Next Story → ALL you muppets who defend Wenger are to blame. The return of legend or the return of the legend to the treatment table? Why can’t we keep 1 of our world class players fit? Why must we have them got injured for a long time? Robin van Persie probably will get 1 injury for every season at least for 2 months. It’s disappointing really. WHAT A PLAYER! Im sorry but Wenger is getting something wrong in training because the amount of injuries we are getting is beyond a joke! Gallas calf strain, Vermaelan calf strain, and other players like Clichy and Diaby have had em! Sort it out Wenger! 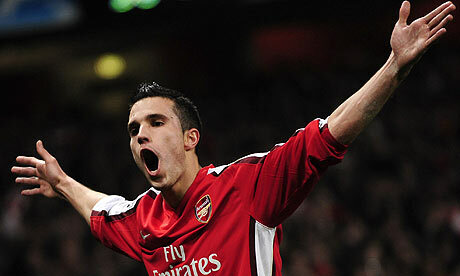 excellent news with RVP coming back. With so many players returning from injury they’ll all be like new signings. Think of the money we can save. Replace his bones with adamantium & he’ll probably stay fit for a good 4 weeks. Then we’ll have “Get well soon Robin” banners at the stands again. On the bright side at least he delivers results when he turns up for work. Less can be said for half the squad though..
jesus, what a bunch of fun guys ya’ll are. One things for sure; Wenger sure as hell isn’t going to be releasing the guys on international duty next season when he doesn’t have to.